In an outstanding showdown that went down to the wire, Olympiacos Piraeus stayed undefeated in Group D by edging Neptunas Klaipeda 81-85 in overtime on the road on Friday. Olympiacos improved to 3-0 atop Group D, while Neptunas dropped to 1-2. 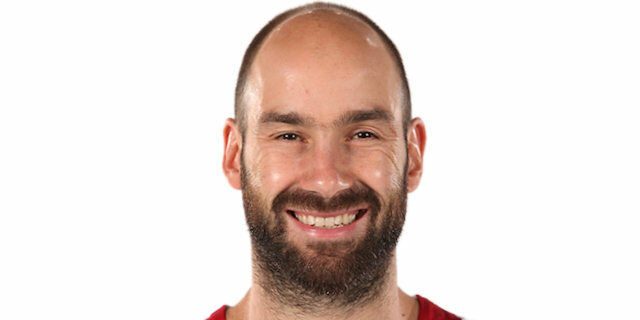 Former Euroleague MVP Vassilis Spanoulis paced the winners with a career-high 34 points – 17 of them in the fourth quarter and overtime. 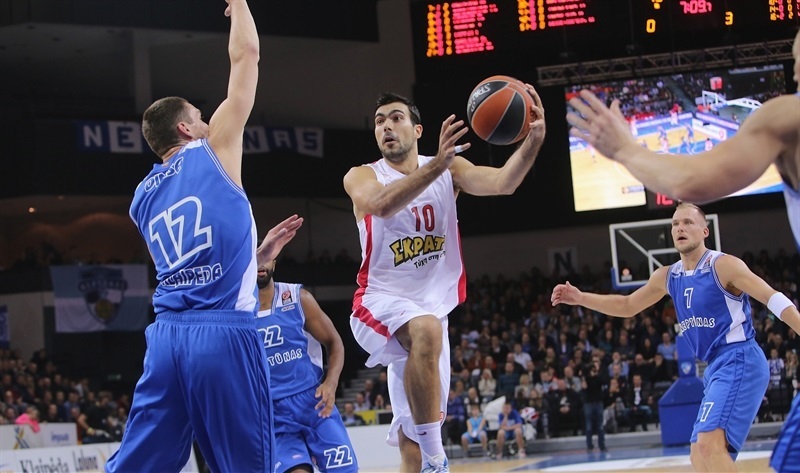 Kostas Sloukas added 13 while Bryant Dunston and Matt Lojeski each had 10 for Olympiacos. Deividas Gailius led Neptunas with 16 points. Donatas Zavackas scored 14, Simas Galdikas and Mustafa Shakur each had 13 while Martynas Mazeika got 11 for the hosts. Galdikas also hauled in 11 rebounds. Gailius and Galdikas shined early to give Neptunas a 12-9 lead. Spanoulis and Lojeski stepped up to give Olympiacos a 15-17 edge after 10 minutes. A 0-7 run which Brent Petway capped with an alley-oop slam made it a double-digit game, 17-27. Mustafa Shakur and Gailius brought Neptunas within 30-36, but a buzzer-beating driving layup by Spanoulis fixed the halftime score at 30-38. Gaulius led a 7-0 run that brought Neptunas back in the game and hit free throws for a 47-46 edge. Spanoulis and Kostas Sloukas stepped up for Olympiacos, but a layup by Mindaugas Girdziunas tied it at 55-55 through three quarters. Neptunas led 70-65 with less than four minutes remaining, but an outstanding Spanoulis put Olympiacos back ahead, 74-76. A big basket by Zavackas forced overtime at 76-76. It all came down to the final seconds of the extra period, as Shakur missed a free throw at 81-82 and Petway and Sloukas sealed the outcome from the foul line. Simas Galdikas got Neptunas going with a layup and a dunk by Deividas Gailius soon gave the hosts a 4-1 lead. Othello Hunter fed Dimitris Agravanis for an easy basket, as Olympiacos adjusted its man-to-man defense. A three-pointer by Matt Lojeski gave the Reds their first lead, 4-6. Galdikas scored around the basket and a driving layup by Martynas Mazeika put Neptunas back ahead, 8-6. Olympiacos committed 5 turnovers in as many minutes, but another triple by Lojeski restored an 8-9 edge. Gailius scored in transition and another layup by Galdikas ignited the crowd at 12-9. Oliver Lafayette struck from downtown off a timeout and a fast break basket by Vassilis Spanoulis saw Olympiacos regain the lead, 12-14. 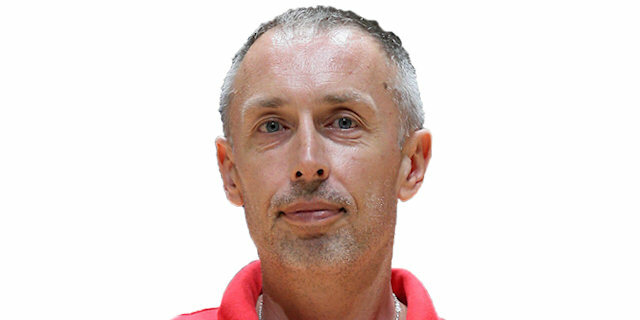 Mindaugas Girdziunas made free throws, which Spanoulis bettered with an off-balance three-pointer. A free throw by Egidijus Dimsa kept Neptunas within 15-17 after 10 minutes. Spanoulis struck again from downtown early in the quarter. Dimsa made free throws, but Brent Petway did better with a three-pointer to boost the guests' lead to 17-23. Kostas Sloukas found Bryant Dunston for a close basket and soon fed Petway for an alley-oop dunk that caused Neptunas to call timeout at 17-27. Mustafa Shakur followed free throws with a five-meter jumper to bring Neptunas closer, 21-28. Sloukas answered from downtown, before Mazeika and Galdikas split foul shots. Shakur kept the hosts within 25-31. Agravanis sank a triple from the left wing, which Lojeski followed with a catch-and-shoot jumper to restore a double-digit Olympiacos lead, 26-36. Shakur shined with a fast break layup and Gailius added a big dunk in traffic to bring the crowd to its feet. A driving layup by Spanoulis fixed the halftime score at 30-38. Gailius downed a corner three immediately after the break and a fast break layup by Shakur brought Neptunas back to life at 35-38. Olympiacos could not find the way to score and a fast break basket by Gailius saw the Reds call timeout at 37-38. Dunston stepped up with a three-point play and matched Galdikas's layup with a two-handed slam, good for a 39-43 Olympiacos edge. Spanoulis buried a wide open three-pointer, which Gailius matched with a big shot from downtown. Donatas Zavackas joined the three-point shootout and free throws by Gailius completed the hosts' comeback at 47-46. Spanoulis banked in an off-balance shot, which Dimsa erased with a mid-range jumper. Sloukas hit foul shots and Spanoulis soon gave his team fresh air at 49-52. Zavackas nailed foul shots and added a jumper. Even after Sloukas struck from way downtown, a buzzer-beating layup by Girdziunas tied the game at 55-55. Spanoulis scored in penetration early in the quarter. 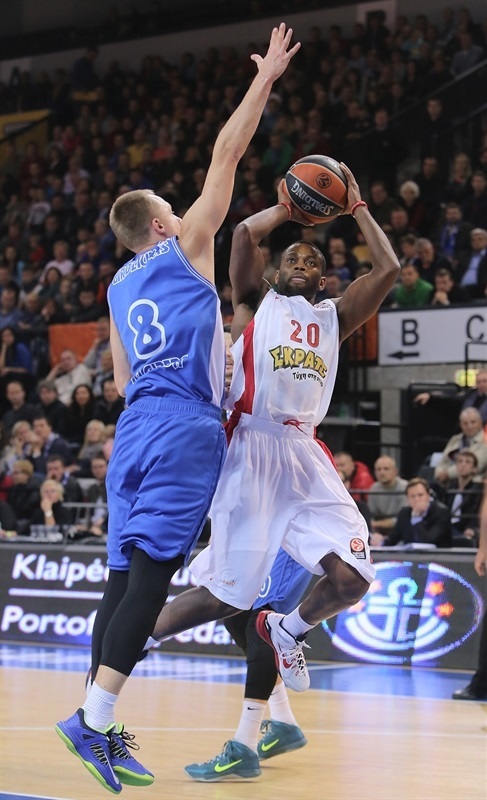 Mazeika bettered him with a three-pointer that gave Neptunas a 58-57 edge. Mazeika stayed hot with a wild layup-plus-foul. Agravanis split free throws and a close basket by Galdikas made it a 5-point game. 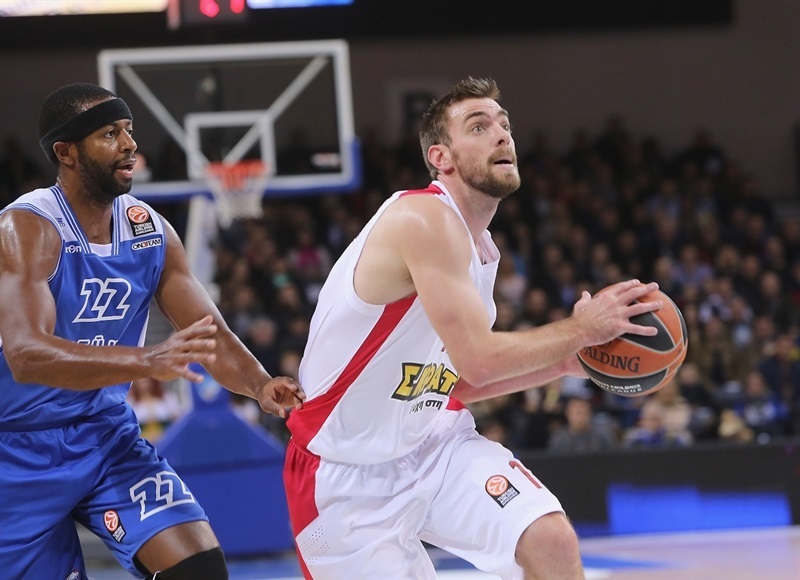 Sloukas followed a mid-range shot with free throws to keep Olympiacos within 63-62. Zavackas fired in one from downtown, but Spanoulis also hit one from beyond the arc. Galdikas dunked, as Neptunas improved its defense right when it mattered most. Free throws by Butkevicius restored a 70-65 Neptunas edge with less than four minutes remaining. After Petway made free throws, Butkevicius scored again and a jumper by Lojeski kept Olympiacos as close as 72-69. 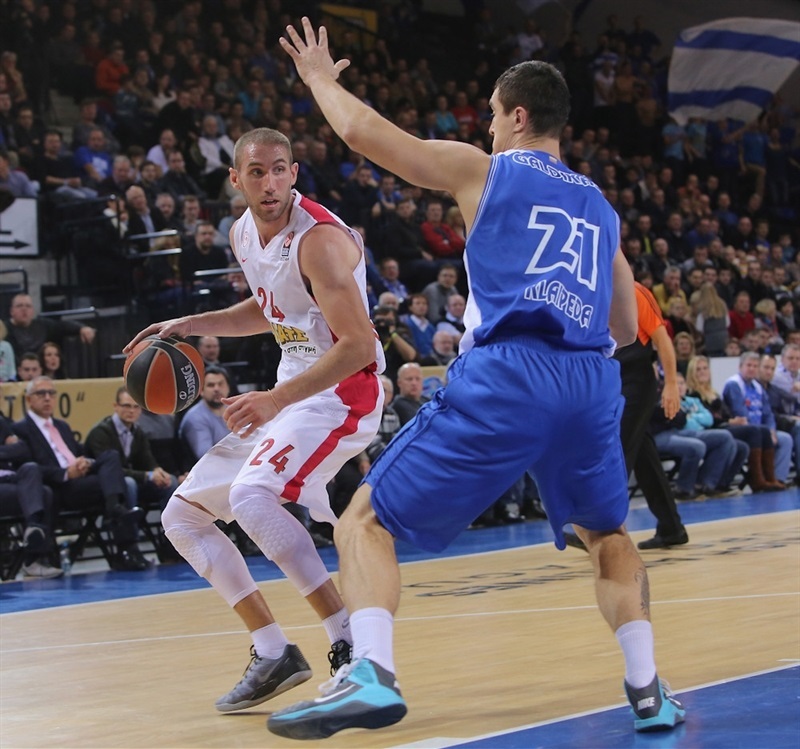 Spanoulis nailed a critical triple, but free throws by Mazeika gave Neptunas the lead, 74-72. After Dunston hit foul shots, Gailius missed a driving shot and Spanoulis gave Olympiacos a 74-76 edge with 38.2 seconds left. Zavackas shined with a second-chance layup to tie the game, 76-76, and Dunston missed from downtown at the buzzer. 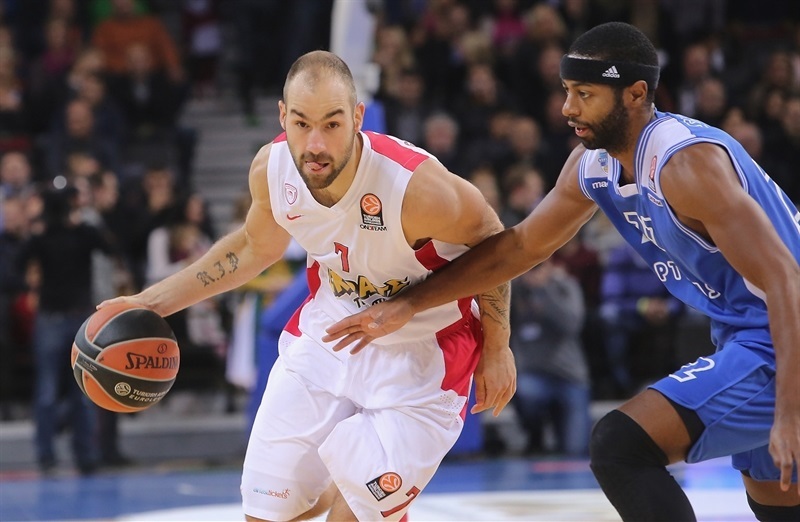 Spanoulis struck from downtown early in overtime, as Olympiacos improved its intensity on defense. The Reds forced a 24-second turnover, but Petway missed twice from downtown. A jump hook by Zavackas made it 78-79 with less than three minutes left. Spanoulis nailed a stop-and-pop jumper and a fast break layup by Shakur saw Olympiacos call timeout at 80-81 with 51 seconds left. Petway missed from downtown, but Mazeika committed a turnover. A free throw by Spanoulis gave Olympiacos an 80-82 edge with 12.2 seconds left. Shakur drew a foul, but missed his second attempt, which would have tied the score. 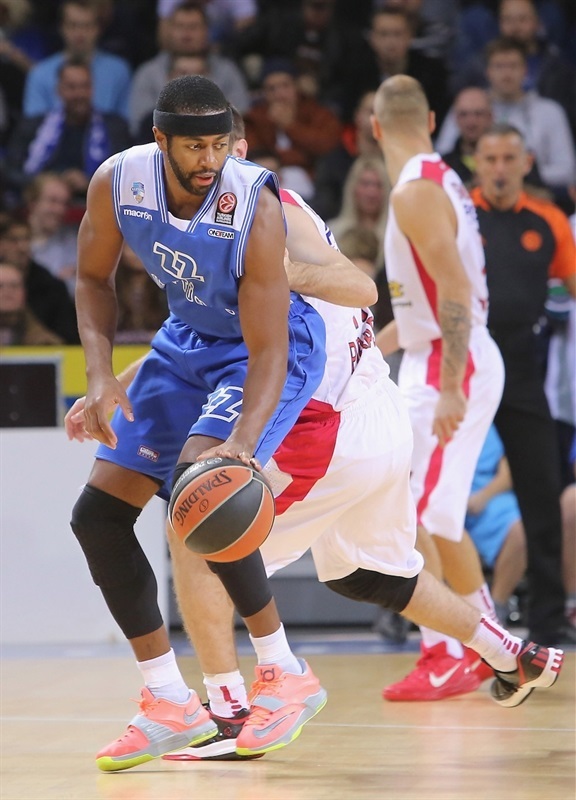 Neptunas fouled Petway, who made free throws for an 81-84 score with 3.9 seconds remaining. Neptunas turned it over, allowing Olympiacos to return home with a valuable road win. "Our team lost and I'm very upset, even though we played against a powerful opponent. Our turnovers at the end of the game resulted in a defeat. We showed a strong desire to win the game, but Vassilis Spanoulis showed his class." 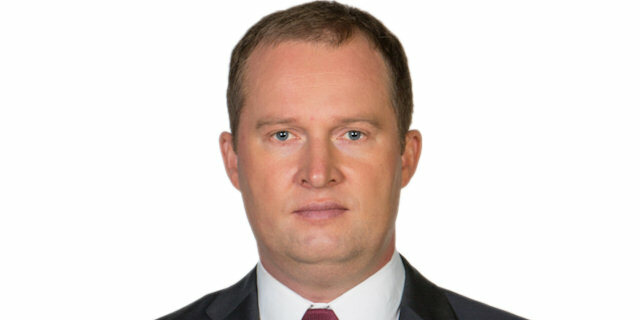 "Today was good game for the spectators, because one team won in overtime. Basketball is basketball, one team wins, the other team loses. My team started playing good defense in the first half, but in the second half Neptunas was better on offense and came back to the game. In overtime, my team showed spirit, played together and won a good game." "Today, it was difficult to defend against Vassilis Spanoulis. He played effectively. We had a lot of success to be in a position to win. It is sad when you lose in overtime." "Every game in the Euroleague is difficult, especially on the road. We are proving things in the beginning of the season, trying to find our roles and chemistry. We are working hard to be better and better in the next games. We have some good and bad moments. We have to play well all 40 minutes."